This one is a little bit special. It's the first Guttenberg film. 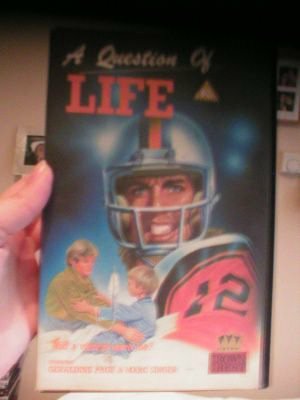 A full ten years before he would dazzle us in Three Men & A Baby, a young Steve Guttenberg proudly donned the mantle of "professional actor" as he took on the challenging and special role of Mike Cappelletti in the classic film A Question of Life (aka Something for Joey). Do you think it was a coincidence that this momentous occasion occurred in the year in which I was born? Me neither. Steve isn't the star here. He plays the brother of the two main characters, and has very little screen time. But when he's there, is he supportive of young Joey? Oh, I think you know he is. It's very touching. Joey and John are close. Joey inspires John to win the coveted Heisman trophy. Joey dies. 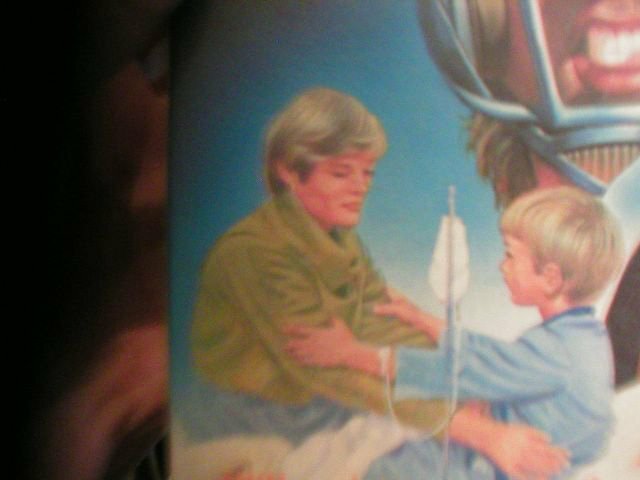 I'm not sure why the artist chose to depict two people who do not appear in the film. It's a bit of a mystery. A classic Guttenberg film. A momentous Guttenberg moment. Pure Guttenberg gold. When you get a chance, come save me. I'm wanted for murder.